Every person in the world has someone who serves as inspiration, not only at a personal level, but also as a professional reference. I would take the risk to assure every professional or amateur photographer has a list of others to look up at. I, of course, consider myself to be included in that group and I would like to introduce the photographers I admire and I wish to become with my own vision. I should start off with who I believe was, and is, the greatest Street photographer of all times: Henri Cartier-Bresson. He was a french photographer born in 1908 and he is considered to be the father of this specific genre of photography. His motto was to capture in camera the decisive moment, that precise scene in front of your eyes that will vanish within seconds and which dragged your attention on the first place, as Henri understood that a photograph can fix eternity in an instant . He mastered how to look for these moments and how to capture them with his Leica camera. Cartier-Bresson worked all around the world, including France, India, Spain, Germany, Czech Republic, Poland, China, Hungary, Belgium and United States, where in 1947 founded the well-known photographers agency Magnum Photos along with Robert Capa, David Seymour, William Vandivert and George Rodger. In the words of Cartier-Bresson, "Magnum is a community of thought, a shared human quality, a curiosity about what is going on in the world, a respect for what is going on and a desire to transcribe it visually". Having photojournalism and documentary photography as main genres, Magnum Photos is probably the most desired and prestigious place a photographer nowadays would love to be. 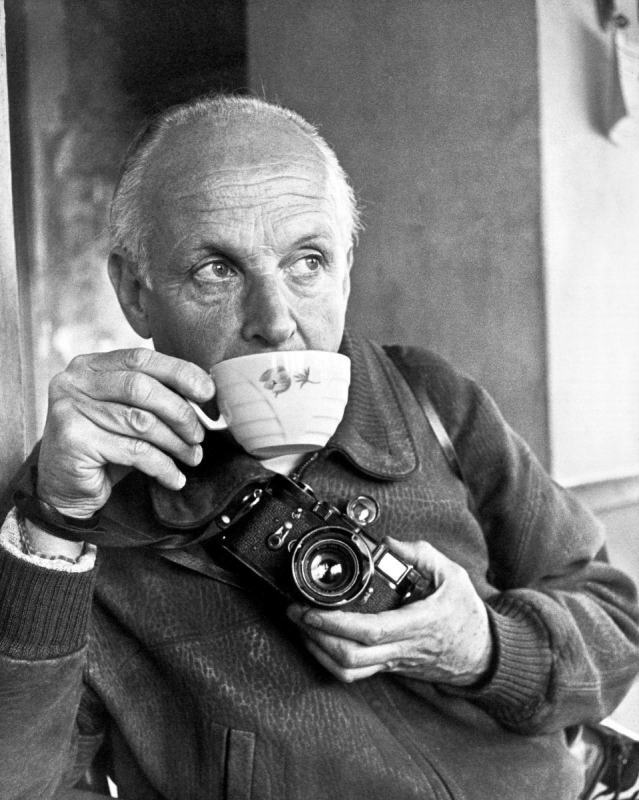 If you want to have a look at some of Cartier-Bresson's most iconic and influential photographs, please visit his Magnum profile. In following posts, I will introduce you to more photographers who are my source of inspiration to continue this wonderful and passionate profession.